Not really, today we had a film crew at the signal box filming for a new TV program about holiday locations (about as much as I feel comfortable to say). 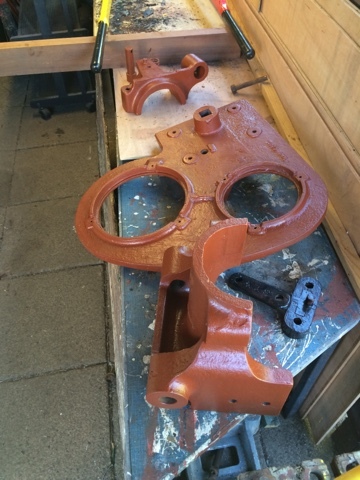 In the mean time, I continued to clean up and paint the metal work required for the GWR signal. This includes the bracket to hold it to the post, the aspect plate and the crank. The spring above is used in the cushioning part of the bracket to stop the signal breaking a casting. 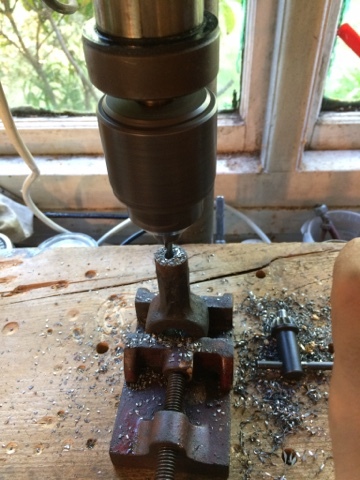 I have also started to manufacture a few parts required to make the GWR signal work (the parts we don't have for lower quadrant operations). Don't forget, this Sunday is our regular work day, all member who would like to attend but have not been to the signal box recently should get in contact before turning up. THIS IS NOT A PUBLIC OPEN DAY, we cannot accept visitors. The past two days, I have spent some time over the signal box. Most of my time has been spent working on the ground frame restoration. The levers and catch mechanisms have all had two top coats. 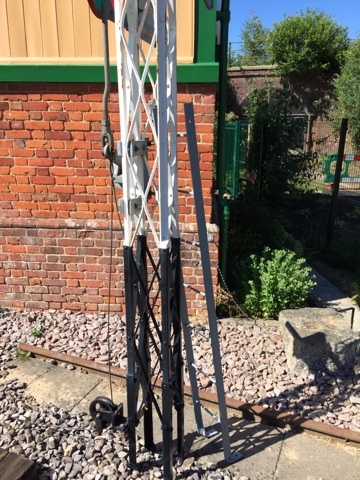 However, because one lever is to be a demonstrating a distant signal and is therefore yellow, it will require a third coat because the primer can still be seen though the paint. All the parts that are required to be painted black are now complete, but the lever tops and catch handles need masking and parts painting black to give a neat finish. 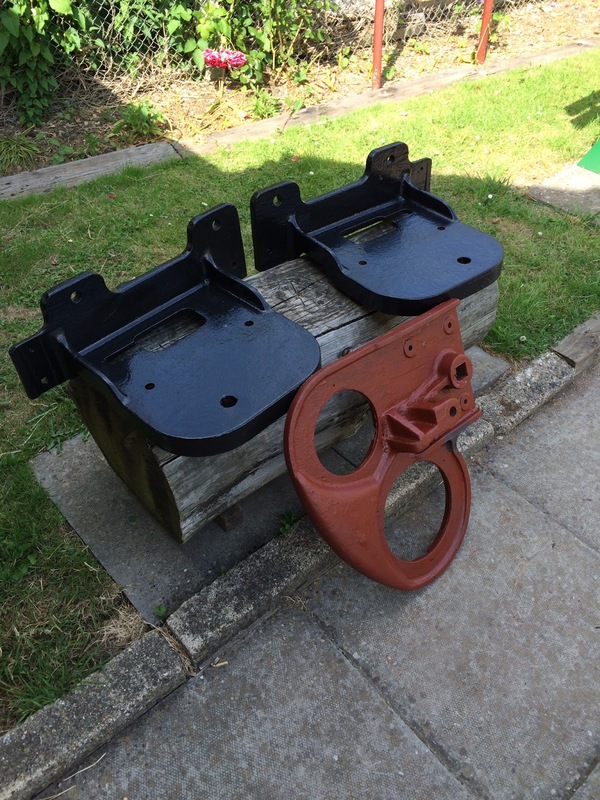 The GWR aspect plate has also had a 'rough' coat of primer as I was running out of paint. 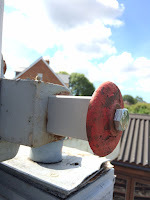 A spacer has been made and fitted to the back of signal No 5 because a part is missing from the rear of the signal pivot. 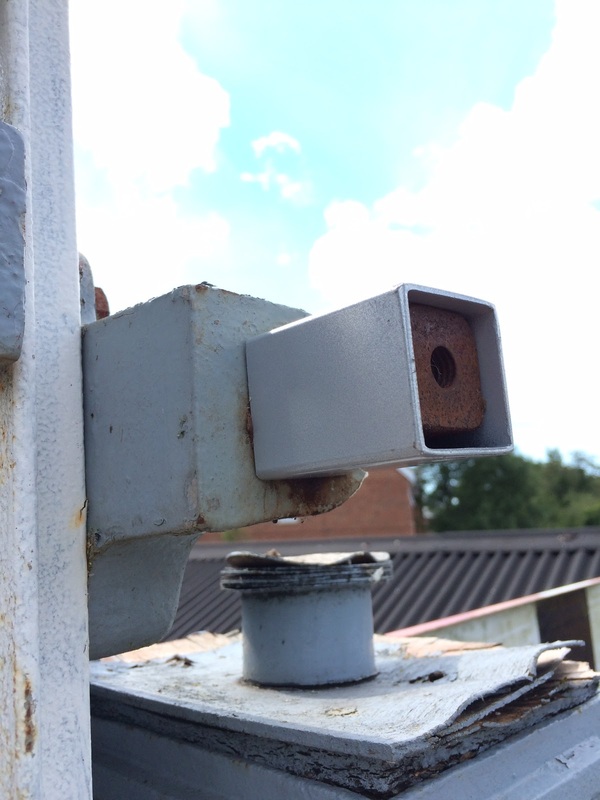 This means the pivot pin slides forward and we were concerned that it could damage our signal or injure someone walking underneath. 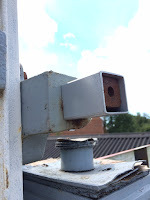 This spacer seems to work and the signal is functioning normally. 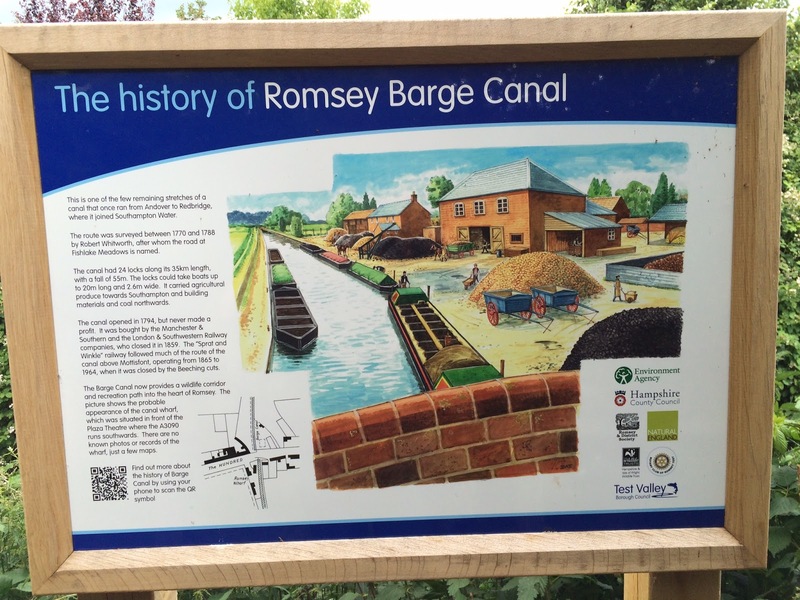 I also found, whilst walking to the station, that a sign has been placed by the canal walk at the plaza end about the history of the canal. It is an interesting read, and I was hoping they would put one by the signal box, about the signal box, but I am doubtful this will happen. 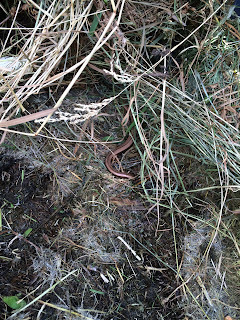 Also, whilst moving the compost further back into the compost heap, I found a couple of slow worms warming themselves. 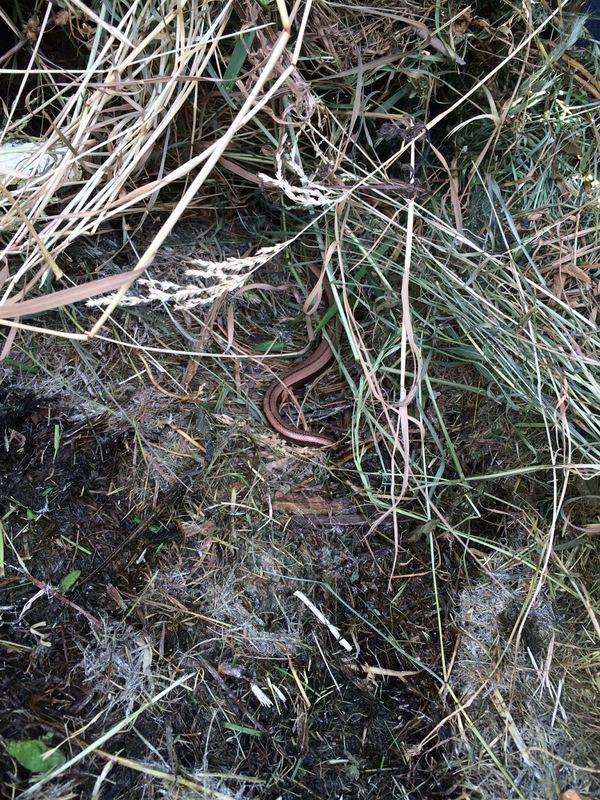 We've found slow worms on various parts of the site, but in the developing of the site, they lost their home. 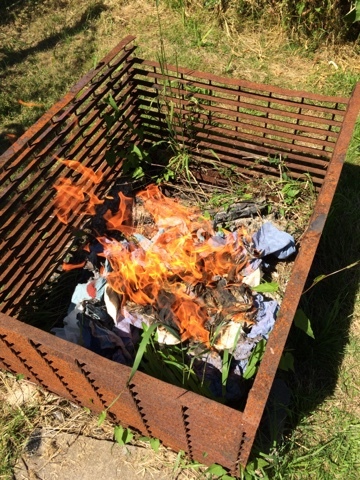 But it is good to see they have found another home. A few various other jobs were completed today, I started work on various other parts for the GWR signal that will be connected to the ground frame and found one of the two key missing pieces, just one more to go. 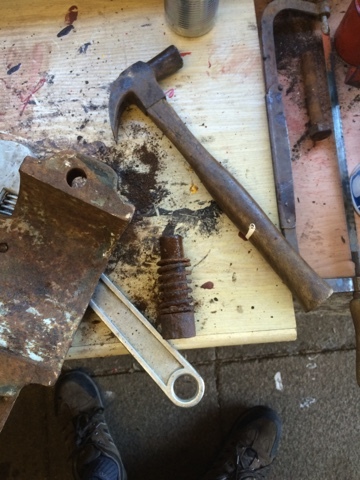 I also sorted out some other bits and pieces that will be needed to reconnect the ground frame. The interior decorating of the new building is complete - Well, apart from small bits of touching in. This is the Cowley Bridge end, before the Southern end was painted. The Southern end is now complete. Considering it was just bare plywood I think the end result is quite pleasing. 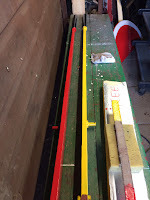 To distinguish between the GWR and Southern ends a vertical batten has been installed and painted GWR brown, along with the tongue and groove boarding at that end. 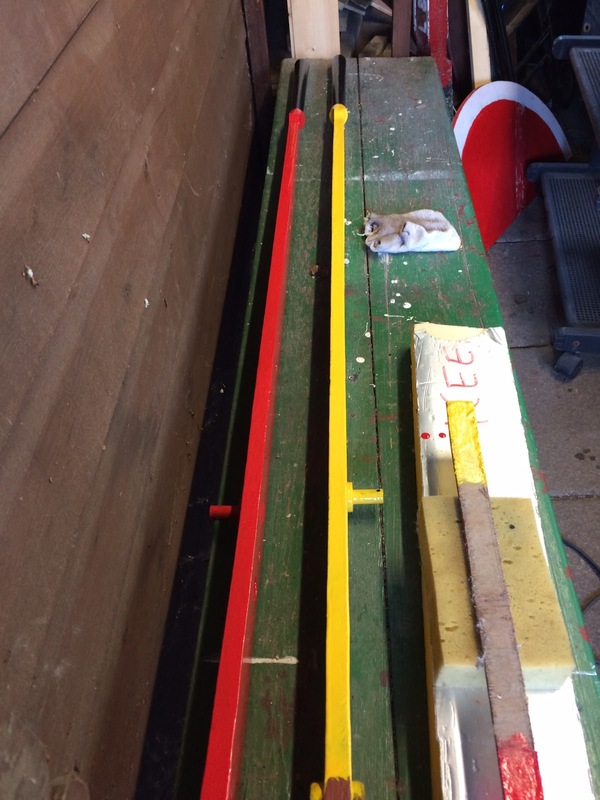 The upper walls above the dado rail are all painted Bamboo, the same as the outside of the signal box. The lower walls are Buckingham green, also the same as the box. On my next visit the dust sheets will be removed and the touching in done. The floor then needs to be sealed as we are leaving it bare timber. The other news is that the new car park barrier has been fitted. ...and very good it looks too! It is very solidly constructed and should look good for many years. There has been a lot going on recently, as you can see.